Mark Morgan, a longtime residence of West Seattle, was introduced to photography by his father. This began a passion that would endure the intervening 41 years. Mark uses his camera to document glimpses of the unexpected and views of his world from new perspectives. Most recently, Mark is taking a more conceptual approach to his photography. Beginning with an idea, he photographs the different elements needed to bring his vision to life. Combining these various elements, along with layers of color and texture, affords him the ability to better express his imagination. 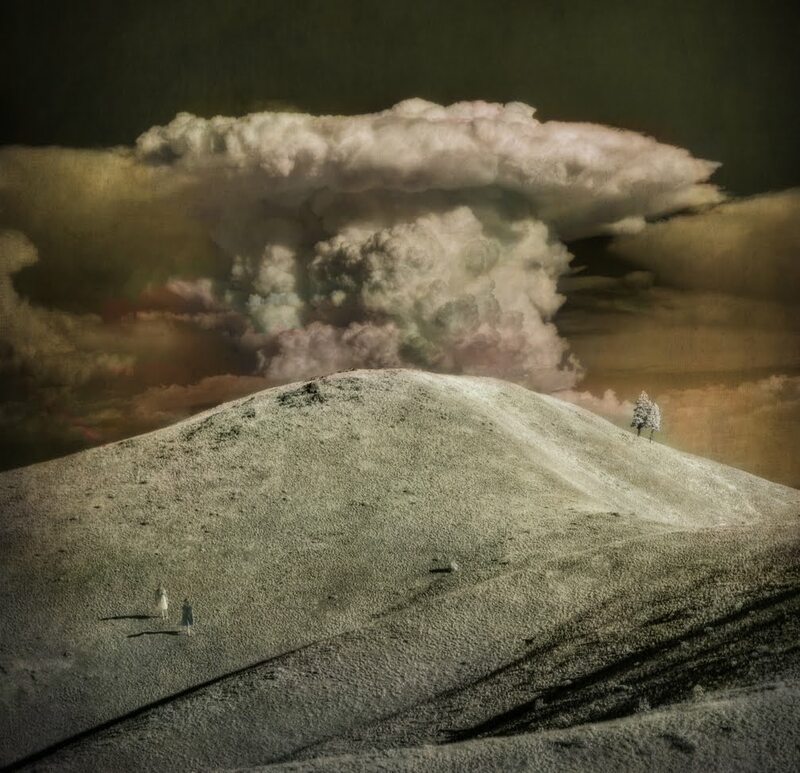 Most of his images begin with the use of infrared – its unusual tones offer just the right amount of surreal mood to keep him happy. In addition, Mark will sometimes loft his camera into the air on the string of a kite to gain that different perspective and to keep a bit of adrenaline flowing.